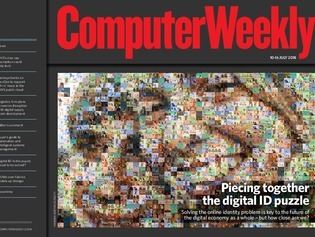 In this week’s Computer Weekly, as UK government attempts to create a digital identity standard flounder, we examine progress on establishing the online ID system the digital economy needs. Barclays bank talks about its move to DevOps and public cloud with Amazon Web Services. And we find out how using AI and chatbots could help improve IT service management. The UK government has announced that NHS doctors and nurses will no longer be subject to Tier 2 visa restrictions – but what does this mean for the technology industry? The CIO of logistics firm Wincanton, Richard Gifford, talks to Computer Weekly about improving its digital propositions and developing a digital supply chain, while simultaneously dealing with legacy systems. NVMe over Fabrics could be a new dawn for shared storage. We look at how the market is shaping up.